A SERIES of Easter events are set to delight visitors to one of Lancashire’s most beguiling visitor attractions. Samlesbury Hall is preparing for an influx of visitors over the next week, with temperatures set to hit a balmy 22 degrees. A number of free activities will keep youngsters entertained, while entry to the hall and its grounds also continue to be free. Sharon Jones, Samlesbury hall director, said: “We know that over the Easter bank holiday weekend, families are often looking for things to do. “While the hall is closed to the public on Good Friday and Saturday, the doors are open and there’s plenty going on on Easter Sunday and Monday. On selected dates between April 15 and 25, the popular Betsy Bumblebee will return with her enthralling stories and fun quiz, which includes a hunt of the hall with the promise of a prize at the end. Easter Sunday sees one of the most famous royals in history, Henry VIII, take guests on special guided tours of the hall, which start at 11am and 2pm. The tours are free. The following weekend sees free guided tours with the ghost of Goodwife Agnes, whose love of sharing tales, intrigue and gossip from the hall in Tudor times is far stronger than her desire to depart the earth. Tours are free, begin in the Great Hall at 11am and 2pm and there is no need to book! 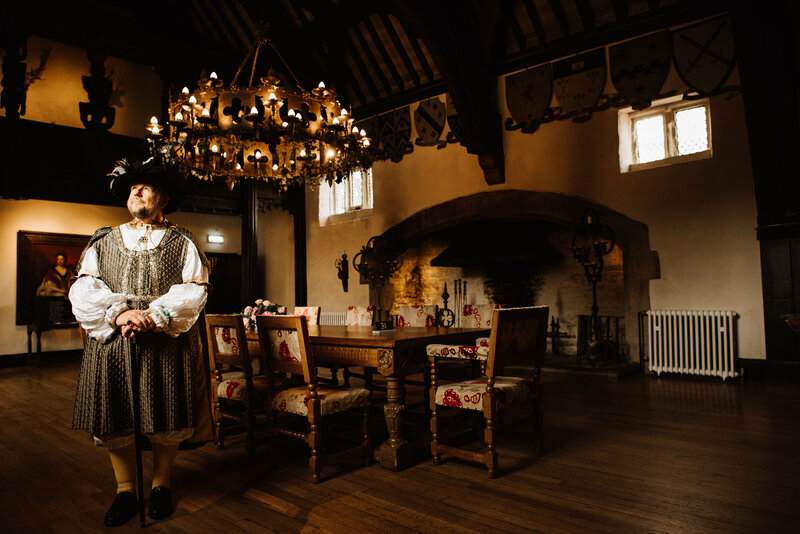 Visitors to Samlesbury Hall are also invited to stay for lunch in the restaurant or indulge in sweet treats at the locally renowned Dotties Wafflery - the first in England - where the waffle iron is always sizzling and locally produced ice creams are served. For guests who simply can't get enough in one day, the hall’s on-site shepherd's huts offer the perfect overnight stay for glamping fans. Each sleeps four people and has ensuite facilities. Guests are encouraged to check on the Hall’s website for dates and times of each activity. Booking is not necessary. Samlesbury Hall is a magnificent, half-timbered black and white medieval house built in 1325 as a family home. The Hall is beautifully maintained for the enjoyment of today's visitors and sits just five minutes east of junction 31 of the M6. The current building and grounds are administered by a registered charity known as the Samlesbury Hall Trust (Charity number 526052), whose aim is to preserve the Hall for the people of the area and visitors to Lancashire. The Trust was founded in the 1920s when the Hall was about to be demolished. Since then the Hall has been a museum and Gallery, and host to many grand functions. The Hall is open to the public every day, except Saturdays and occasional Fridays, when it is closed for weddings. On this site today, you will discover an ancient, magnificently preserved manor house and gardens, with a colourful history and a wide-ranging programme of year-round events and activities.